Day 5. Namche Bazaar. Rest day – to Everest View Hotel and back to NB? Day 6. Namche Bazaar – Tengboche 3867m. Day 7. Tengboche – Pangboche 4252m. Day 8. 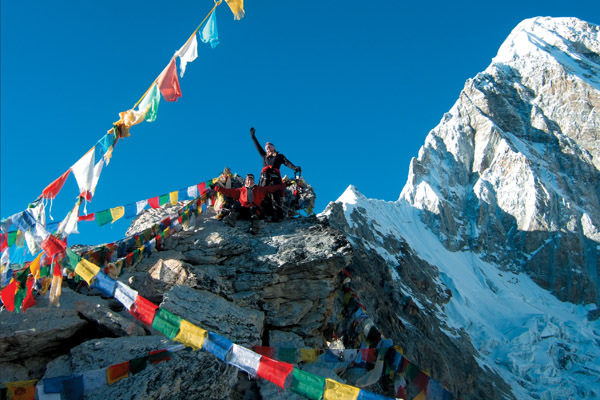 Pangboche – Ama Dablam Base Camp 4576m – Pangboche. Day 9. Pangboche – Dingboche 4350m. Day 10. Dingboche – Dughla 4600m. Day 11. Dughla – Gorak Shep 5170m. Day 12. Gorak Shep – Everest Bace Camp 5364m – Gorak Shep. Day 13. Gorak Shep – Kalapatthar 5545m – Dughla 4600m. Day 14. Dughla – Chukung 4743m. Day 15. Chukung – Imja Tse Base Camp 5150m. Day 16. Imja Tse Base Camp – Imja Tse 6189m – Imja tse Base Camp. Day 17. Imja Tse Base Camp – Pangboche 4252m. Day 18. Pangboche – Namche Bazaar 3440m. Day 19. Namche Bazaar – Lukla 2804m. Day 20. Lukla – Kathmandu. Transfer to Hotel. Day 21. Kathmandu. Free day in hotel, shopping in Thamel, sightseeing in Kathmandu. 1 – 4 pax : 1780 USD. 5 – 8 pax : 1720 USD. 9 or more : 1650 USD.